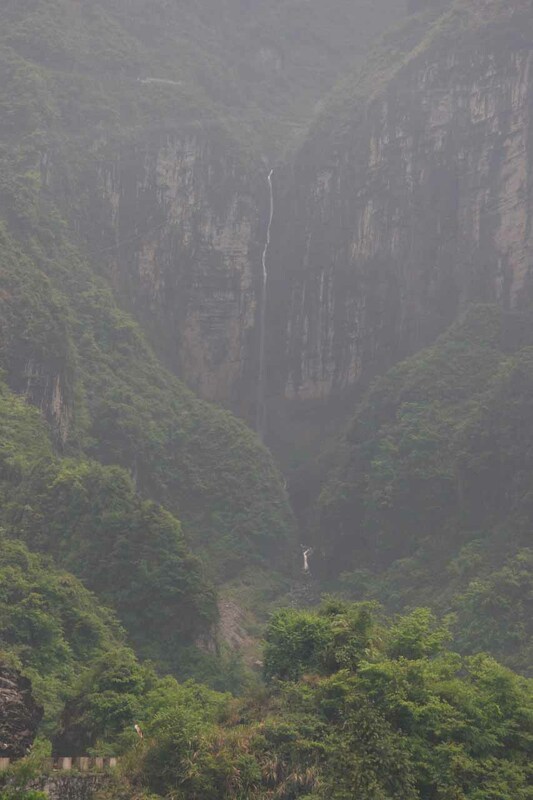 The Zhangjiajie Waterfalls (张家界的瀑布 [Zhāngjiājiè de Pùbù]) are basically a collection of ephemeral and fake waterfalls I’ve clumped into this page. 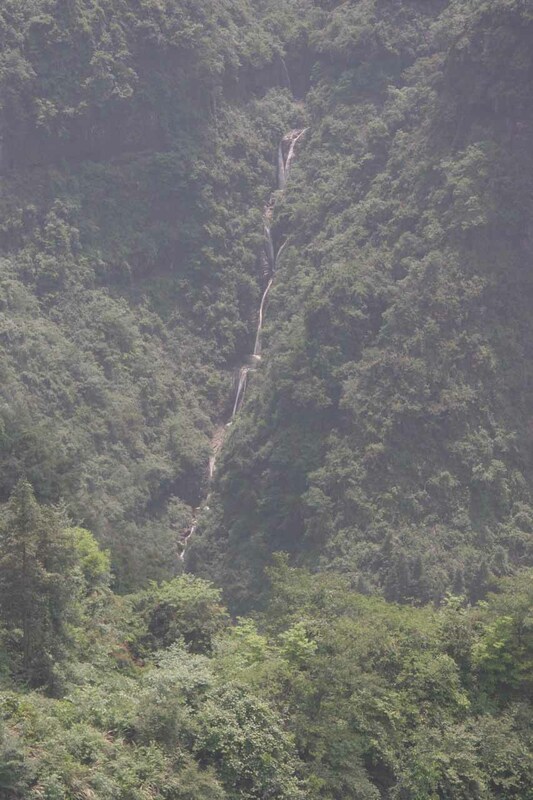 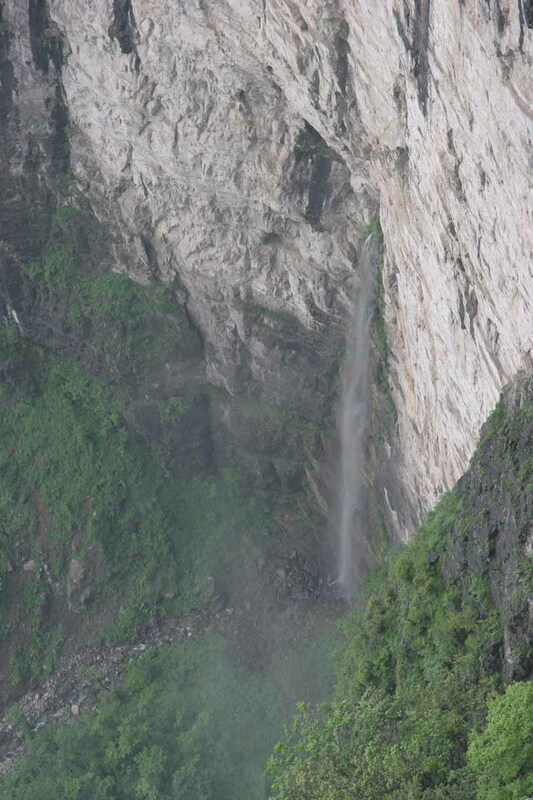 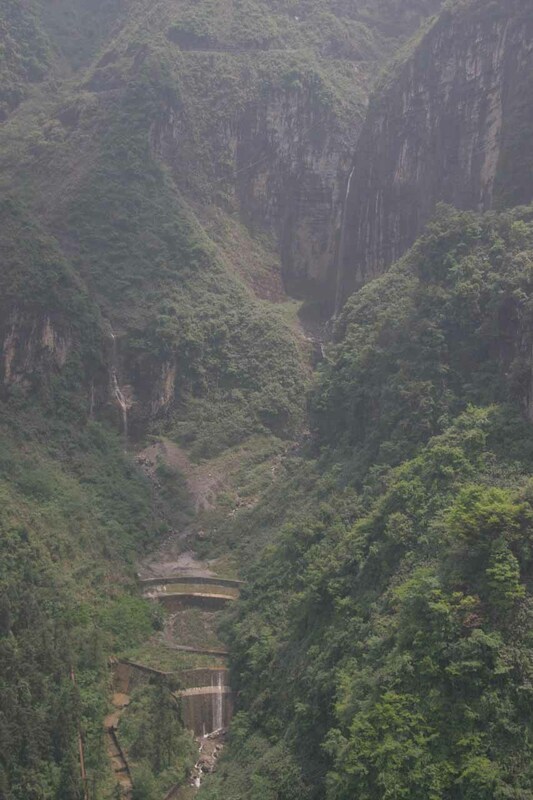 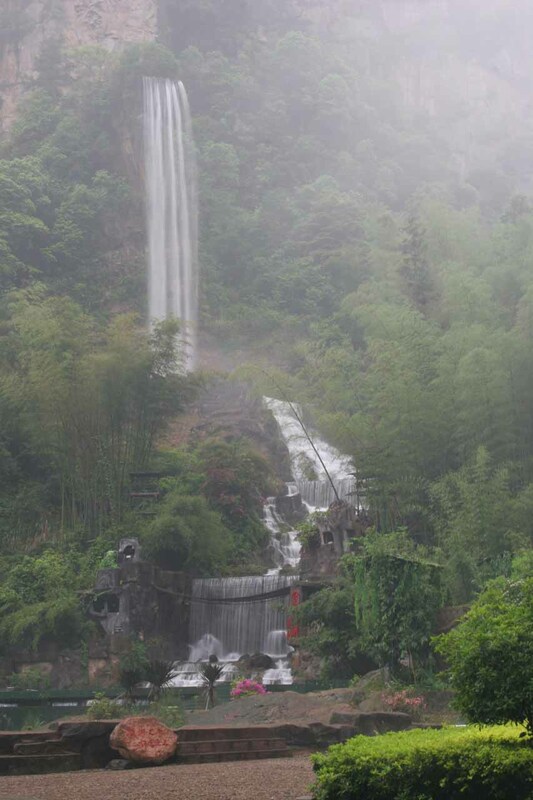 Our original intent was to see the Yuanyang Waterfall in the Wulingyuan part of Zhangjiajie (all in northern Hunan Province – the province of Mao Zedong’s birthplace). 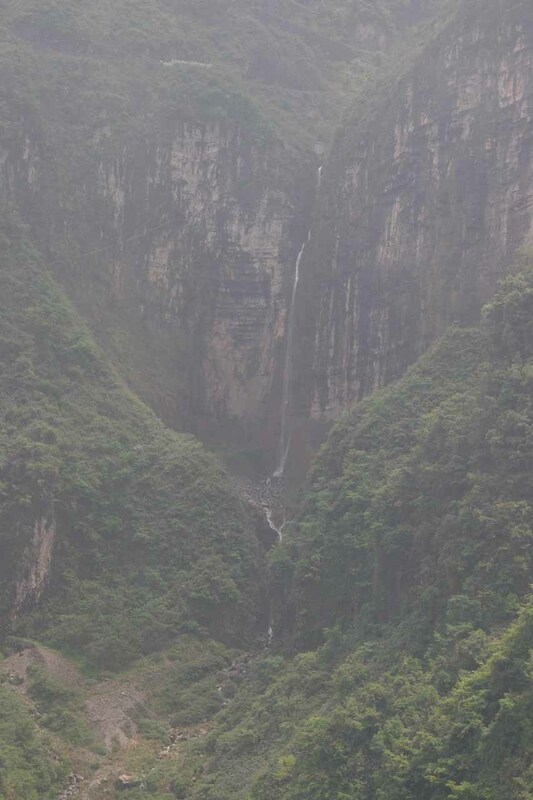 But I think our guide was more interested in taking us shopping and conveniently misunderstood that waterfall for the fake Baofeng Waterfall. 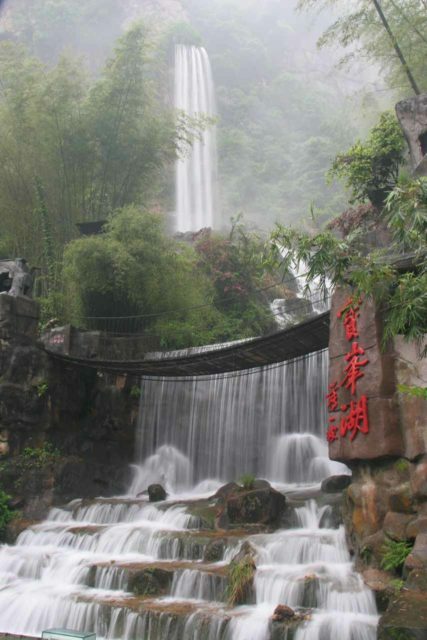 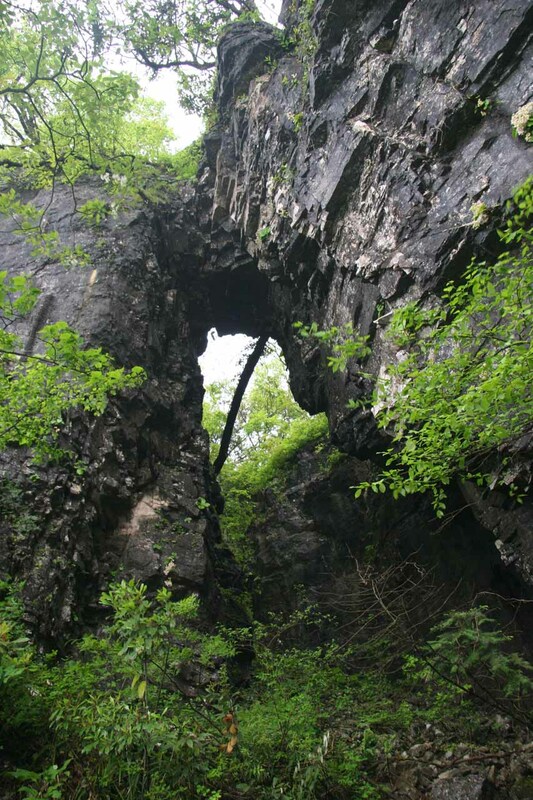 So we didn’t get the legitimate waterfall sighting that we wanted here, but we did see the type of scenery that has inspired Chinese landscape paintings and drawings as well as a handful of giant natural arches and bridges. 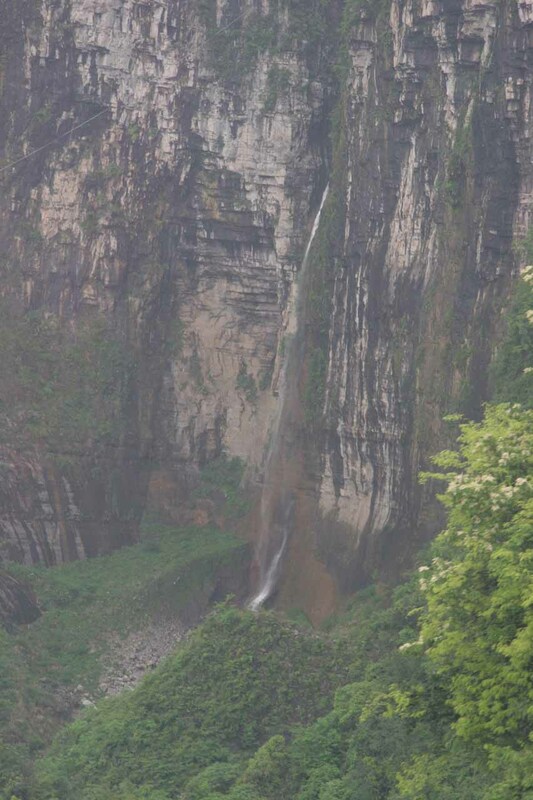 Perhaps the most interesting part of Zhangjiajie from a waterfalling point of view were some of the temporary waterfalls we noted that fell beneath the impressive Heaven’s Gate (Tianmen) Natural Arch. 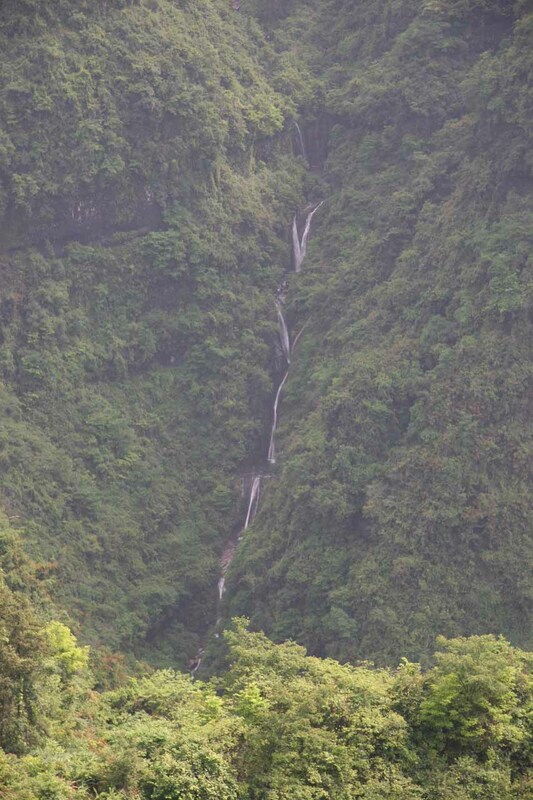 There were also more unnamed ephemeral waterfalls that we witnessed while doing their high-elevation walks above the clouds. I have to admit that we were a little disoriented during our time at Zhangjiajie. 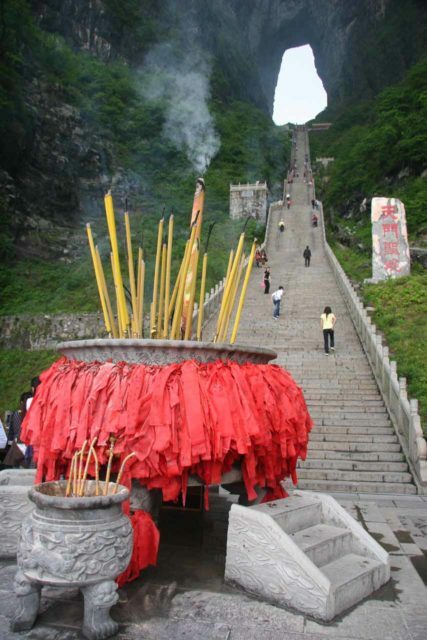 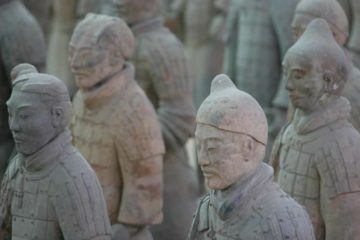 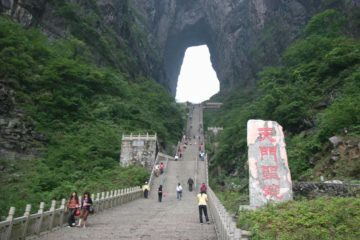 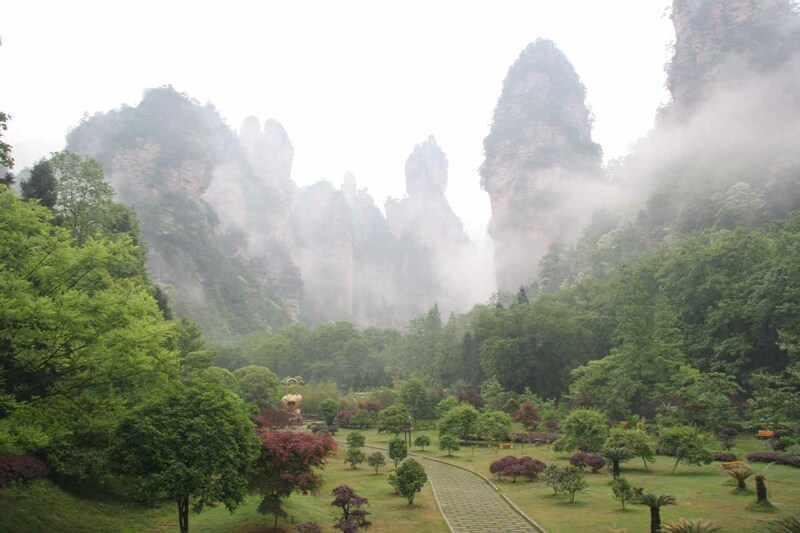 I only recalled that after landing at the nearest airport here, we were driven about 2 hours to a hotel near the entrance to the Wulingyuan part of Zhangjiajie. 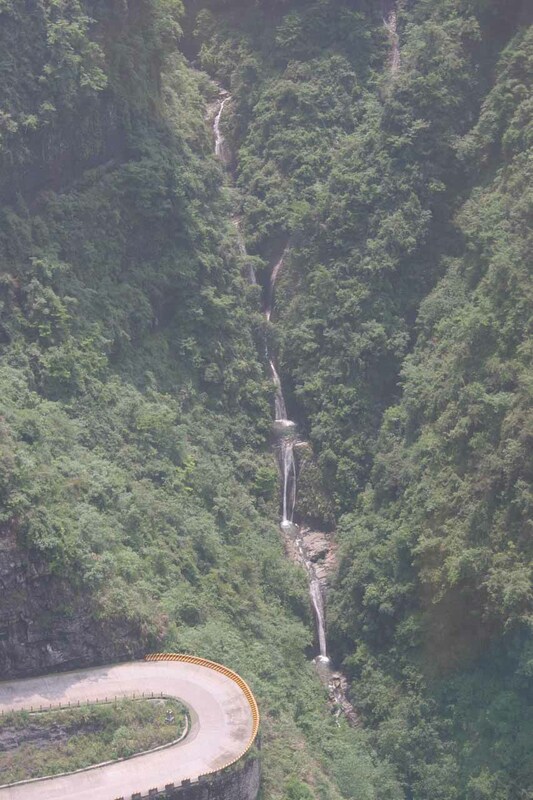 Maybe if we come back, we might be able to see both a legitimate waterfall while we could provide a better writeup of the area. 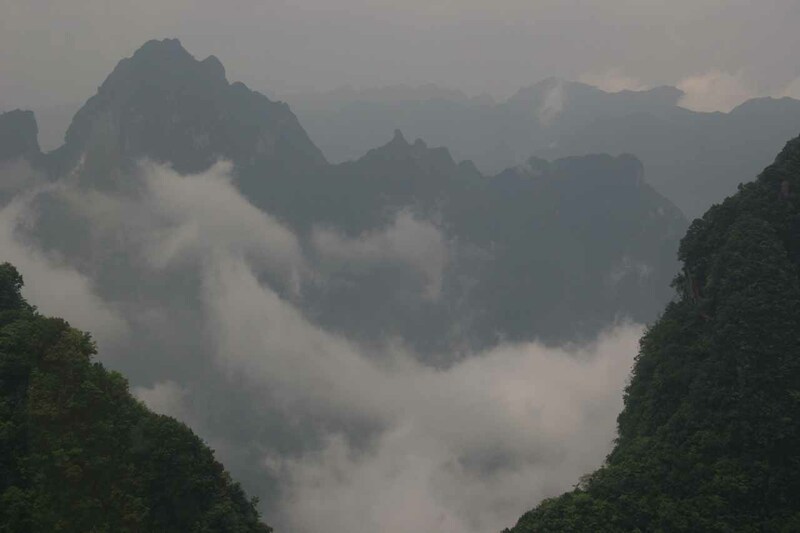 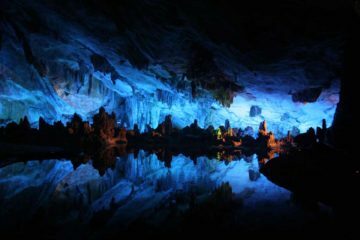 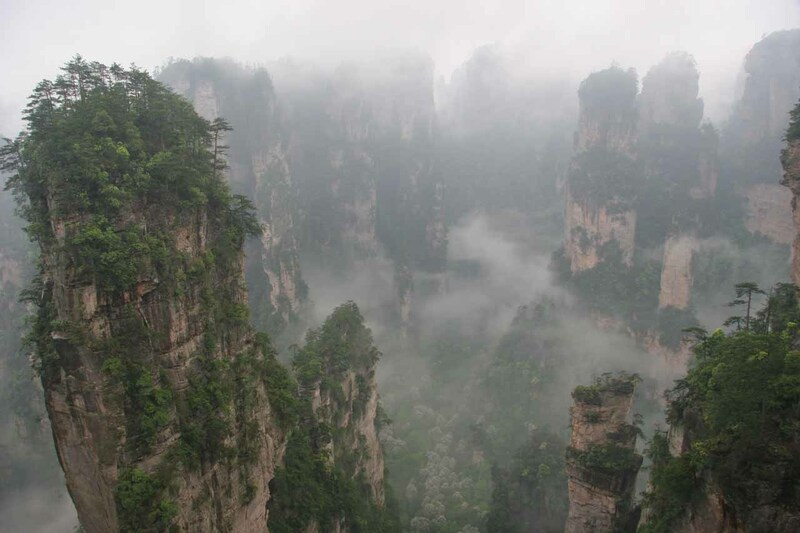 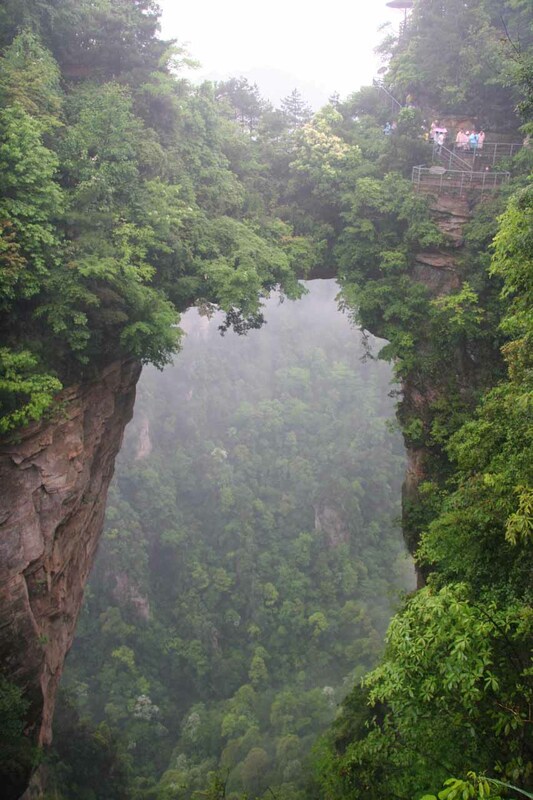 For geographical context, Zhangjiajie was 911km (10.5 hours drive or 90 minutes flight) east of Chengdu, 1,285km (nearly 14 hours drive or over 2 hours flight) west of Shanghai, 1,011km (11 hours drive or 90 minutes flight) south of Xi’an, and 1,568km (16 hours drive or about 3 hours flight) south of Beijing.